If you’re into mechanical devices or Fourier series (or both! ), you’ve got some serious YouTubing to do. [The Engineer Guy] has posted up a series of four videos (Introduction, Synthesis, Analysis, and Operation) that demonstrate the operation and theory behind a 100-year-old machine that does Fourier analysis and synthesis with gears, cams, rocker-arms, and springs. In Synthesis, [The Engineer Guy] explains how the machine creates an arbitrary waveform from its twenty Fourier components. In retrospect, if you’re up on your Fourier synthesis, it’s pretty obvious. Gears turn at precise ratios to each other to create the relative frequencies, and circles turning trace out sine or cosine waves easily enough. But the mechanical spring-weighted summation mechanism blew our mind, and watching the machine do its thing is mesmerizing. In Analysis everything runs in reverse. [The Engineer Guy] sets some sample points — a square wave — into the machine and it spits out the Fourier coefficients. If you don’t have a good intuitive feel for the duality implied by Fourier analysis and synthesis, go through the video from 1:50 to 2:20 again. For good measure, [The Engineer Guy] then puts the resulting coefficient estimates back into the machine, and you get to watch a bunch of gears and springs churn out a pretty good square wave. Truly amazing. The fact that the machine was designed by [Albert Michelson], of Michelson-Morley experiment fame, adds some star power. [The Engineer Guy] is selling a book documenting the machine, and his video about the book is probably worth your time as well. And if you still haven’t gotten enough sine-wavey goodness, watch the bonus track where he runs the machine in slow-mo: pure mechano-mathematical hotness! 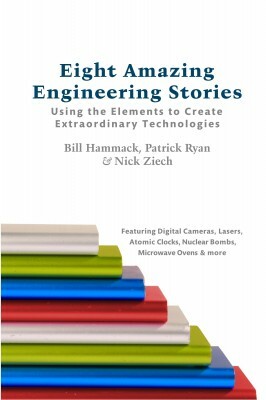 We’re big fans of [Bill Hammack], aka the Engineer Guy. His series of engineering videos dredge up pleasant memories of watching Mr. Wizard but spin to the adult science enthusiast. The most resent season (he calls it series #4) scratches the surface of the topics covered in his book Eight Amazing Engineering Stories, which was written with fellow authors [Patrick Ryan] and [Nick Ziech]. They provided us with a complimentary digital copy of the book to use for this review. The conversational style found in the videos translates perfectly to the book, but as with comparing a novel to a movie, the written word allows for much more depth. For instance, we loved learning about how Apple uses anodization to dye the aluminum used for iPod cases. The same presentation style makes the topic easily understandable for anyone who took some chemistry and math in High School. But primers a sidebars offer an optional trip through the looking-glass, explaining the history behind the process, how it compares to natural materials, and what trade-offs are made in choosing this process. Some of the other topics included are how CCD camera sensors, lead-acid batteries, mems accelerometers, and atomic clocks work. As the book progresses through all eight topics general concepts the complexity of the items being explained advances quickly. By the seventh story — which covers the magentron in a microwave oven — we’d bet the concepts challenge most readers’ cognition. But we still enjoyed every page. The book would make a great pool-side read. It would make a great graduation gift (too bad we missed that time of year) but keep it in mind for any science minded friends or relatives. You can see [Bill’s] own description of the book and all its formats in the clip after the break. There’s a good chance that you use a MEMS accelerometer every single day. It’s the small chip that let your smart phone automatically adjust its screen orientation. They’re great chips, and since they’re mass-produced you can add them to your projects for a song (if you can abide the tiny packaging). But we have no idea of how they are made and only a inkling of how they work. [Bill Hammack] has filled that knowledge gap with this explanation of how MEMS accelerometers are made and how they function. Our base knowledge comes from the acronym: Micro Electro-Mechanical Systems. There’s something in the chip that moves (so much for solid state electronics; and it makes us wonder if these wear out). 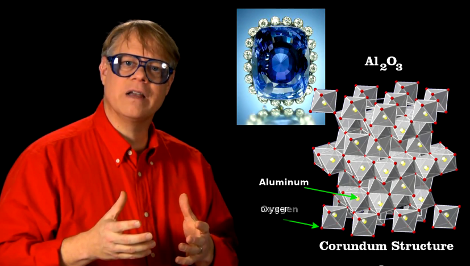 [Bill] includes a diagram in his video after the break which shows the silicon-based system that moves as it is affected by gravity. This changes the capacitive properties of the structure, which can be measured and reported to a microcontroller for further use. The structure is built using an intricate etching process which we never want to try out at home. Looking for a project in which to use one of these devices? We’ve always been fond of this POV device. Want to improve the finished look of your projects? There’s a lot you can learn by looking at the choices made in consumer electronics. 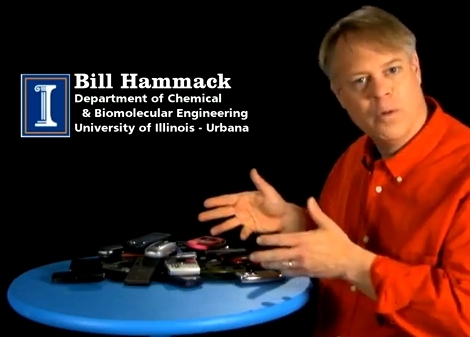 [Bill Hammack] explores what is perhaps the most refined electronic device out there, the cell phone. Specifically, he discusses the seven design constraints that face every cellphone maker. They are: compactness versus usability, consumer preference, availability of energy, economic resources and available infrastructure, knowledge of materials, societal needs, and cultural constraints. 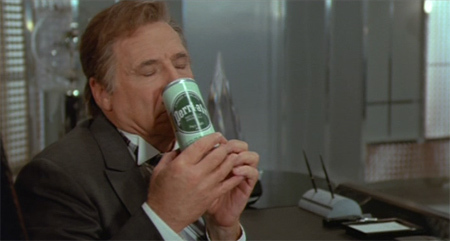 Anyone who’s whipped out their hacked-together project in a public space understands cultural constraints. Especially when forgetting your backpack in a public place can put the bomb squad of full alert these days. But aside from the anecdotal issues, [Bill’s] look at now-and-then cellphones really shows off the smart design that we enjoy thanks to the evolutionary process that went into what has become the wristwatch of the 21st century. See what he has to say in the video after the break.